Exec Angels ® is an online hub with the mission of creating a global family of office professionals, where they feel inspired, valued, motivated and empowered to excel in their careers. I believe that assistants really are angels in disguise – you make the business world go around! I want to remind you how important and valuable you are and, through Exec Angels, build a strong network of like-minded professionals. INSPIRE – Exec Angels will provide daily inspiration reminding you of your value and importance to the business world. EXCEL – Exec Angels will empower you to excel in your careers through ‘How To Guides’, personal development activities, stories and training. SUPPORT – Exec Angels will develop an extensive online network, through which you can seek advice and celebrate your successes. MOTIVATE – Exec Angels aims to motivate you to succeed through a series of workbooks and success stories. 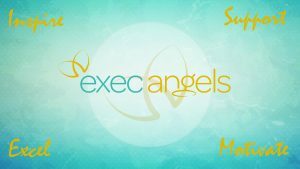 The Exec Angels Network – sign up to our free Facebook group HERE. Exec Angels Latest – join our mailing list for our free weekly online newsletter containing “How To Guides”, personal development worksheets and inspiring interviews. Follow us on Instagram – follow us HERE for a shot of daily inspiration. I have worked as a C-Suite Executive Assistant for the past 20 years, most recently in the sports and media industry. With a BA (Hons) degree in Business Management and a Higher Diploma in Business Administration, I wanted a role where I could literally learn everything about every aspect of the business. I have been incredibly fortunate to work at the top level of business and be involved in its running. From there, I decided to take on a Chartered Secretary qualification through the ICSA, which led to me achieving my latest role as a Company Secretary. My job has taken me to places I never thought I would be lucky enough to experience in a lifetime. I’ve also worked for some amazing, some challenging and some downright difficult bosses during my career. In the summer of 2017, I began to think about how I could bring together other like-minded people in my profession. I hoped we could share stories and inspire one another. Having spent many years as a single mum, I found it difficult to get out and about to visit many of the excellent EA/PA networking events around the country and overseas. My intention was to create an online hub that was accessible to everyone and any time. In December 2017 I launched Exec Angels through my website http://www.execangels.org and my social media accounts. The response has been phenomenal. 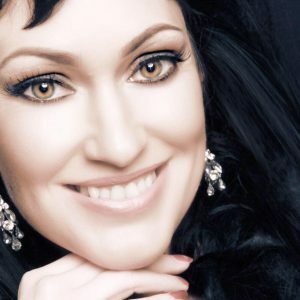 I am overwhelmed by the positive feedback I’ve received from people all over the world. Today I live in Yorkshire with my partner Ryan and our four girls, who continue to inspire me every day. Let’s share our experience and support one another. Please get involved!